pajamas began as an attempt to create a more secure login using client-side hashing, which is one-way encryption, and as a demonstration, mainly for other web-coders, to two enormous security holes in all-too-common existence.. The second hole is more obvious, and that is the plain text password travelling freely across the wires. This one has received more worldwide attention, but it's still ignored in most php web applications. There are literally hundreds of articles out there describing how to store a user's password using all manner of weird and wonderful algorithms, to protect it from "unauthorised database access", or "unauthorised server access", and yet still expecting the password to arrive in plain text. GUYS! If your database isn't secure you are in trouble. Same for your filesystem. These are places over which you have control. The place where you certainly don't have control, ever, is the internet. And the moment that packet of data leaves the user's presumably safe environment it's fair game. Its contents could be stored on any one of the many nodes between server and client, dubious proxy "servers" could scan it, on poorly configured servers (most) passwords will show up on other server's referrer logs, etc. There it is, your plain-text password, travelling around the internet in a bundle of other useful plain text information, like the URL of the so-called secure login page, probably your username. No! This is insane! pajamas takes an entirely different approach. The password is securely hashed before being sent over the wires. Now, not only is interception no longer a problem (it's impossible to retrieve the password from the hash in the given time-frame, even a very much longer time-frame), but public browsers can't save or cache it, either*, being a one-shot mish-mash of your password and some random generated string. Each time you login, it's completely different. With pajamas, the only places the password ever exists in the clear are in your presumably secure server environment, and the presumably secure user's brain. This password is only protecting access to this server's content; ergo, breaching the web server breaches the user's "protected" data, anyway. To my reckoning, it would be considerably more difficult to compromise a modern web server and get root, than it is to search some log for the phrase "password". Which strategy is best? You decide. You can enjoy my wee "protected" image gallery, and try-out pajamas at the same time, here. If you'd like to ask questions, give feedback, enlighten me, etc, you can do that at the bottom. There is also a sha1 pajamas plug-in called "shaggie", which is currently available only inside my other packages (e.g. the distro machine), feel free to download and play around with it; get back to me if you find any issues, thanks. Here's the current pajamas code..
For full details, usage instructions, etc, see the accomanying readme. If you you got this without a readme, check out the link below. issue would be valuable to others, drop a comment on the pajamas page..
ps.. Big thanks to PCheese for all the help with the OOP. Currently, we have the bare bones of the thing, and it works great! There may yet be bugs, and all bug reports are wholeheartedly welcomed. capable browser, use 'plain', otherwise, use 'pj'. sent over the wire in plain text. the wires one time only. a quick and dirty way to store your password..
or you could keep it in a database, or include from another file,. include '/some/other/place/config.php'; and set it externally..
are) set this to false, or else advise them to use *yet another* proxy (two proxies). the session is live until the client's browser is quit, or they log out. they tried and tried, but it just isn't happening. Or else they are taking the p*ss. if we halted them in their tracks after how many failed login attempts? optionally we can prevent even correct logins from browsers that repeatedly sent bad logins..
"$auth->_bad_user" will be set to true. Now, even a correct login will fail to authenticate. You can check for bad users, and then do what you like with them.. If you leave kick_bad_users set to false, a correct login will override all previous bad logins. behaviour by simply setting this to true. you like, and latest message is always in "_auth_message"
so the user is aware that their password was incorrect, or whatever..
which will break xhtml valiadation, among other things (including the md5)..
simple, div-less output, like this..
a good, mostly supported proprietary Internet Explorer property. mish-mash that will become useless the instant you logout). It will only break your xhtml validation until you login, of course. Set this to true to add 'autocomplete="off"' to your password field. TADA! Some modules may require included code. functions on your page, like this..
You can override the location by setting this..
rather than spew onto your page. use..
mainly for "session already started" type errors. It was annoying! $GLOBALS['errors'], and b) variables inside error handlers are a disaster! set it externally like so..
// so we set it here, and now overriding works as expected. a simple session error catcher..
case ($type == 8 and stristr($string, 'session')): // doesn't look so clever with only one case! return false; // better let php handle this one. basic authentication module loader. almost works. At least, this is the expected behaviour - currently, as far as I know, Opera saves the *typed* password, rather than the *sent* password, effectively defeating all forms of client-side password hashing strategy, dudes! - I've figured out a way around this, by the way, which will hopefully hit the code stage for my upcoming "shaggie" pajamas module. Take it easy! A bit of a newb question, but I got here from a google search on htpasswd. Is there any way to protect a Directory using pajamas, the way you would with .htaccess+.htpasswd? The readme was a little more technical than my level. Thx! Yes, simply drop the whole lot into the directory you want to protect - or else put it elsewhere on your site and set that path in the preferences inside pajamas. Remember to set the name of the main pajamas page to your default document (usually index.php or similar). That way, whenever someone enters that directory, they always get pajamas, and not a directory listing. Download the zip. The examples in the demo folder (inside the pajamas zip) should get you started. Open the simple demo (simple.php) in a text editor. It's basically this..
With that simple code you can protect anything (well, web resources!). ps. depending on the contents of the directory, you may want to opt for something with more features. 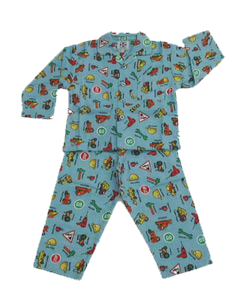 Check out the distro machine, which includes pajamas. i spent quite some time on your website today, checking out all of the interesting stuff you have here. I played with the demo and was browsing the images after authenticating. whilst clicking on the second image (instead of enlarging) it showed me the login screen again and i had to login again to continue. after the last image (i still read the text under the image and gave it a good look for at least 30 seconds i would guess because my dog has now discovered fishing too), then logged out with the supplied button. It told me i must not hammer the site. could that be true?! i then walked away from my pc for about 4 hours to do some other stuff. when i came back i clicked back several times to see where i was and it took me through all the stages as described above (i.e. pic4->pic3->login->pic2->pic1->login). i only thought about it later that it was not supposed to let me back in to see the images... or was it?! i try to remember where i comment in case the people need more info of what i am on about, and i will surely come back to your site again, but i might miss this page totally. i find it a bit difficult to surf it due to that fairly cryptic image menu at the top. i initially came here from Google for the htaccess stuff, and when i tried to find it again later from your homepage as starting point it took quite some time. it still uses the old password, which is just password. Is there any place else that I need to change the password? Thanks! I know; the readme is a bit lengthy. The bit you want goes like this.. So do that, and you'll be okay. aah.. my bad.. thanks for a prompt response... i love the stuff u've created... looking at ur website, I can tell that you must be hell of a guy.. cheers !!! I am a designer and lecturer living in London, teaching at Barnet Schools of Creative Industry, currently researching publising a source book for businesses and anyone seeking to set up online and market their product or services. Part of it covers designers and illustrators: http://www.neasdencontrolcentre.com/ http://www.bibliothequedesign.com/ to name a few. I am planning format for ipad books. I wanted to know if you would me us to use your comments and credit you with links for the work on security online. The info you wrote was outstanding on sit security. Well im using Pajamas and disto machine Thanks works create!! Great script, thanks a lot! I did kind of tear all the nice bits apart, and re-frankensteined it to a single file... but methods are still the same. Do you have any examples to connect it to a database? I am working on my own implementation get a MySQL connection with multiple users, rights, statistics, etc... If you happen to have a bit a script that might be a pointer in the right direction, it'd be nice to have a look at. For the record; I am still working on it. Currently, it is up&running fine (as it seems...), I will now do some testing, cleaning the code up and making it ready to publish. I am rather busy atm, but I'll contact you as soon as I'm done; I have no interest in spreading it, but you'll be free to do with it as you like (which includes spreading it). Do you already have a working example with MYSQL? I'm interested in your code for my own website.